The Constitutional Court of Tajikistan [official website] has affirmed the legality of a proposed amendment to the Constitution of Tajikistan [text] that would allow the possibility of current President Emomali Rahmon [BBC profile] remaining president for life. The amendments were affirmed in late January and have a special provision naming Rahmon “Founder of peace and national unity – Leader of the nation” [press release] and excluding him from any stipulations that would be imposed upon his term. This title was conferred upon Rahmon by members of Parliament in December. The amendments also lower the age provision to run for election making Rahmon’s son, Rustam Emomali, eligible to run in 2020. When Emomali Rahmon was originally elected President of Tajikistan in 1994, the country was in the middle of a civil war. Prior to election, Rahmon was sitting on the Supreme Council when former president Rahmon Nabiyev was ousted from office. At that time, Nabiyev had been the only national leader since the fall of Soviet control over Tajikistan. 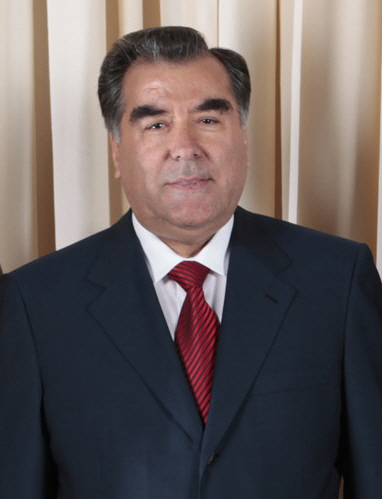 Rahmon’s term length was extended to seven years in 1999, and he has served every year after. He has never faced substantial competition for election.